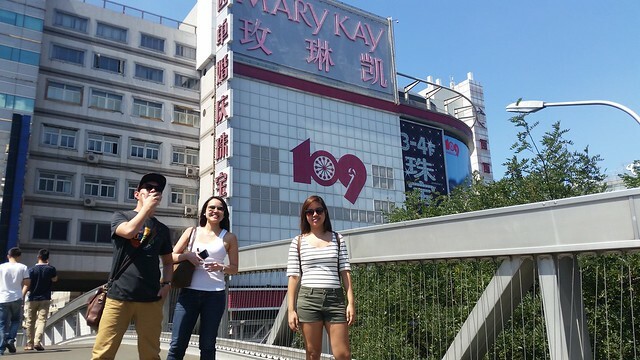 Despite visiting Beijing during summer, one of the things that we wanted to have was some hot pot..
We ended up in the business district of Beijing in search for the hidden branch in the Tianyingtai Department Store to avoid the lines. 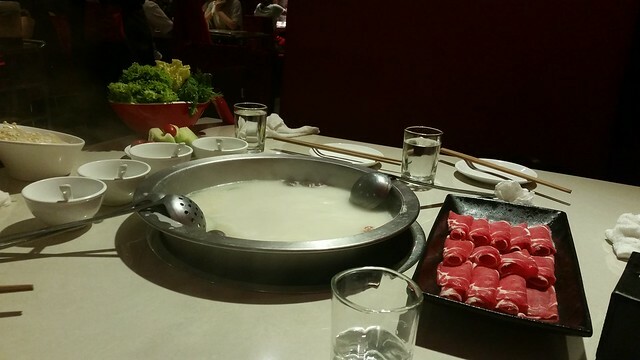 After my enjoyable Tian Wai Tian Hot Pot experience, I was more than ready to try out Hai Di Lao Hot Pot. 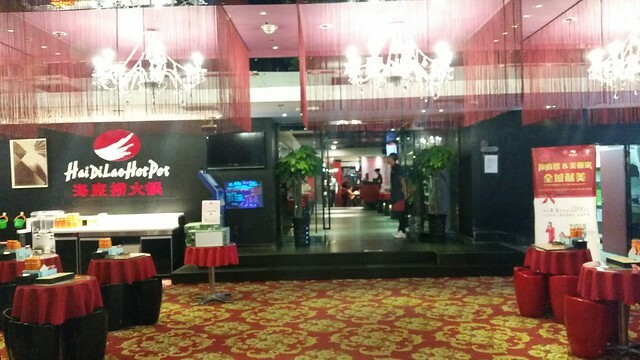 This 16 year old Sichuan hot pot franchise was highly recommended and popular for its “hot and spicy soup”..
Beijing 2015: Hai Di Lao Hot Pot – Noodle Dance from A Rono on Vimeo. 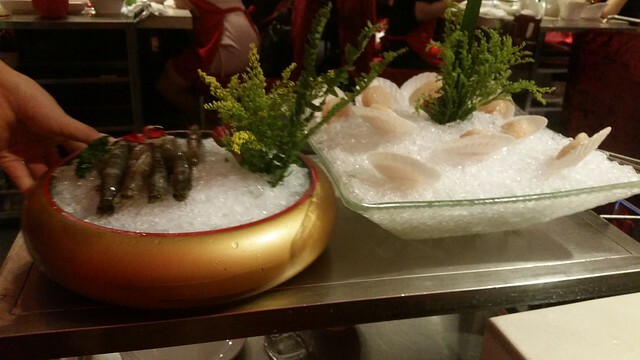 and some premium sea creatures (aka prawns and scallops). 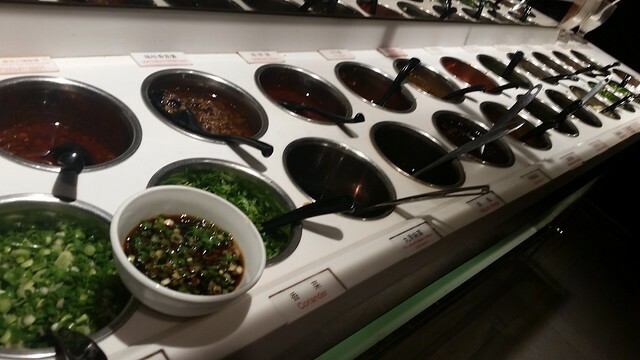 No hotpot experience is complete without some dipping sauces. Bring on the garlic! Stained clothes, smelly hair and dirty items will be the least of your worries when you cook. Bibs, pony tails and ziplocs were given by the staff for free to make sure you’d have smiles as wide as ours while eating. 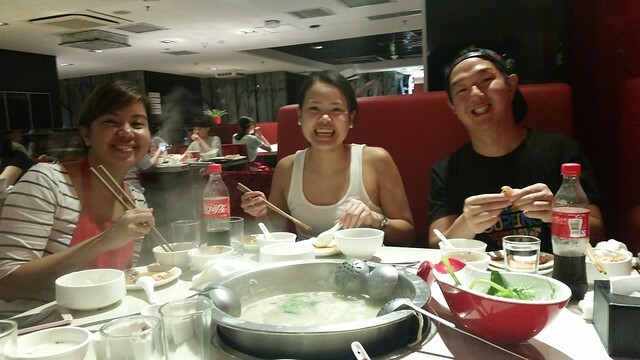 Pretty full from the hotpot experience, we did not mind that there was no unlimited Haagen-Daz ice cream. 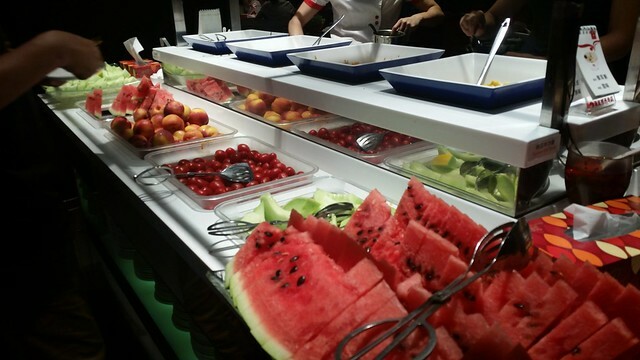 The fruit selection (those peaches though!) was good enough. 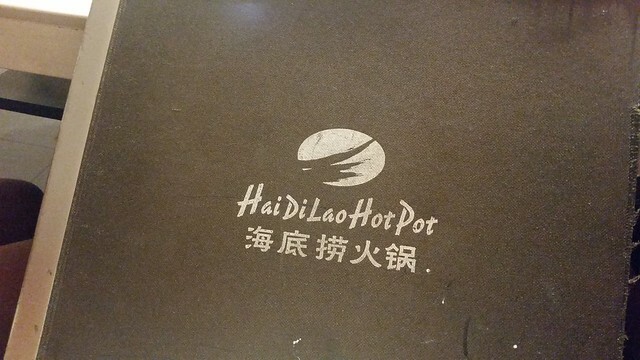 You can find Hi Di Lao Hotpot at..